Kendall Jackson Vintner’s Reserve Riesling, 2010 Monterey County, California 100% Jackson Estates Grown. Alcohol 13.0% by volume; regularly $14.99, on sale at Albertson’s for $9.99. My Take: I really liked this wine, to my vast surprise. It has a faint flowery scent and a touch of the sweetness – just perfect for a spring meal (Easter, perhaps). The hubby wasn’t as enamored as I was, due to the slightly steely aftertaste and not enough sweetness in the foretaste. My Rating: ~ Very Drinkable ~ I’ll definitely keep it in mind now for those spring/summer warm to hot days. My Take: This wine smells like honey in a glass, and also has a lovely aftertaste of honey – light, crisp, sweet but not too sweet. My hubby said “This is a Riesling!” For me, this particular wine isn’t one I’d reach for on a daily basis, but for all of that it sits pleasantly on the palate and begs for a picnic at a scenic spot with someone special. Some sharp cheese, maybe salami, and this wine – you’ve got a winner. My Rating: ~ Very Drinkable ~ Plus it’s a fantastic price! 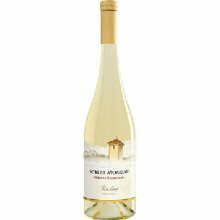 Chateau St. Michelle Riesling 2010 Columbia Valley, Washington State Alcohol 11.0% by volume Regularly $9.99, on sale for $7.99 at Albertsons. My Take: Admittedly, I had this wine under unusual circumstances. 1. I’d already had two glasses of Pinot Noir. 2. The wine wasn’t properly chilled. 3. I wasn’t really looking to have more wine. However, this blog called…and the wine answered. To my surprise, it was my favorite of all three. The sweetness is balanced between the Kendall Jackson and the Mondavi; the alcohol content is lower than both; and there’s no steely aftertaste. The scent is fresh and floral, but not overwhelming. Perfect for a picnic, or a before dinner drink. My Rating: ~ Very Drinkable ~ It doesn’t get a higher rating because, frankly, it’s not a red. But to my taste buds, it’s the best of the three. Hubby preferred the Mondavi – and we’d both still drink the Kendall Jackson. And to my surprise, I’m now a Riesling fan! This entry was posted in Wine Friday and tagged Chateau St. Michelle, Christine Ashworth, demon soul, Kathy Bennett, Kendall-Jackson, Pinot Noir, Riesling, Robert Mondavi, writer. Bookmark the permalink. Since riesling is sweet, would you drink it with your dessert? My husband–the person in our house who drinks–is not a fan of sweet wine, either. I’ve never seen him buy riesling, and I’ve never heard him talk about it. I’ll have to see if he’s willing to try one of these. Catie, I wouldn’t drink it with dessert – I’d pair it with cold ham sandwiches, or almonds and cheese. It isn’t an over-the-top sweet wine like a Late Harvest Riesling – those are almost syrupy, and a drizzle over vanilla ice cream and strawberries is delicious! If your hubby wants to try it, go for the Kendall Jackson because it’s the least sweet of the three. I’ve never been a Reisling drinker, but maybe you’re onto something. I have to be careful of high acidity. It sounds like this might be gentle on the stomach. Thanks. The best part of these wines? They hold over in the fridge wonderfully. I’ve had two bottles open for a week, and they still taste good (properly stored, of course). So you don’t have to drink the whole bottle in one go! Thanks so much for your assessment of the Reisling wines. I’ve had all three of those wines and I would rank Kendall Jackson as my favorite, followed by the Chateau St. Michelle, and rounding out the group with the Mondavi. However…I’d like to suggest Fetzer Reisling as well. It’s my favorite, and I suspect, it’s probably the sweetest of the group – which is why I like it. It’s also quite easy on the wallet. I’m no great wine critic, but I certainly enjoy a glass in the evening and almost always it’s a Reisling. Thanks again for following up on my question. Kathy, I meant to pick up the Fetzer – don’t know why I didn’t! I’ll do so before too long. And hey, I’m no great wine critic either – I just talk about what I like and what I don’t like, lol! Thanks for the suggestion. My husband isn’t much of a Rieslings drinker so we never by it, but your recommendation with the cold ham sandwich sounds really good. We just might have to do that one out on the patio one warm afternoon. 🙂 Thank you, Christine! Debra, I’m the one who doesn’t reach for the Rieslings in the grocery store – and now hubby is very happy that I found some I like, lol! I’d definitely try the Kendall Jackson, since it’s the least sweet of the three.